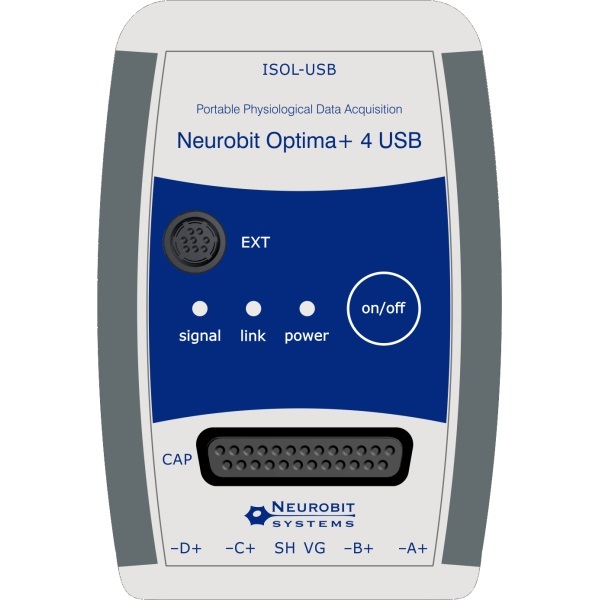 The Neurobit Optima+ 4 USB is a 4 channel, multifunction amplifier which can record not only EEG, but other signals such as HEG, GSR, temperature, heart rate, and muscle tension. 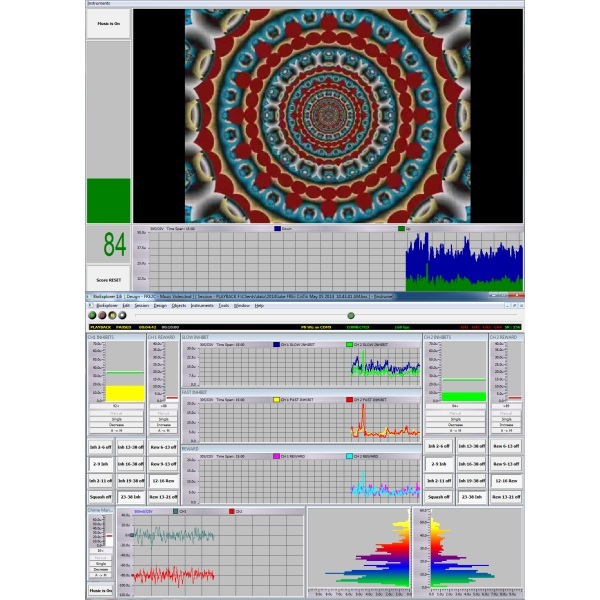 Purchase alone or with everything you need to get started: software and electrodes. This amplifier works with BioExplorer software, version 1.6 beta 2 and later, BrainBay and BioEra. The function of each channel is set separately in the software configuration windows. The windows also include a built-in test of sensor impedance. The Optima is powered by and communicates with your computer via USB cable. You can purchase the amplifier alone or with our BioExplorer QuickStart Package, to get you started with the software. 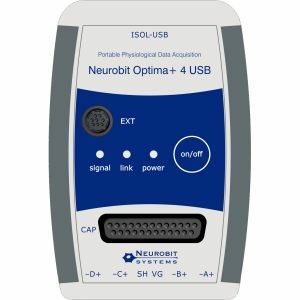 We declare that this product (Optima from Neurobit) is intended for psychological training, education and scientific research and is not a medical device.